The all time Premier League youngster goal scorers. Wayne Rooney, Raheem Sterling, Cesc Fabregas, James Milner and Michael Owen. The term ‘wonder kid’ is branded around too much nowadays, particularly in the unforgiving environment that is the Premier League. Whilst it’s true that some young starlets can make an instant impression and go on to achieve great footballing heights, it’s just as true that the pressure and expectation can prove to be all too much for young hopefuls. The 2015/16 season is underway and plenty teenage talent is on show so we’ve been inspired to look back at the League’s youngest scorers and find out where they are they now. We kick off our list with a controversial choice indeed. This summer saw plenty of transfer rumours and offers flying around for Liverpool’s young forward Raheem Sterling. Eventually Manchester City managed to snare the 20 year old from the reds with an extremely lucrative deal. However the move was met with plenty of criticism from former Liverpool players who objected to the way in which Sterling handled it. The deal makes Sterling the 7th most expensive transfer of all time and many critics believe he is not yet worth such an astonishing fee. Rooney made his professional football debut at just 16 years of age and just as he became an emerging England star and scored his first goal (that cracker against Arsenal) Alex Ferguson at Manchester United was ready to pounce on the young lad at Everton and set up a deal to bring him to Old Trafford. At the time, the fee paid for Roo was the highest ever for a player under the age of 20. Since his debut strike, Wazza has gone on to win numerous domestic titles and the Champions League, not bad. At the tender age of 17 Spanish midfielder Cesc Fabregas quickly made his mark on the Premier League as an Arsenal goalscorer and he quickly became a fan favourite. In his 8 year career at Arsenal he consistently performed and was always one of the squad’s strongest players. In 2008 he earned himself the captaincy of the team before a move back to his boyhood club Barca in La Liga. In spite of suffering from plenty of injury problems later in his career, Michael Owen was a formidable attacking force for most of his time at Liverpool where he managed to put away no less than 118 goals; he even scored on his Premier League debut aged just 17. Owen even made a name for himself on an international level by scoring 40 goals for his country. Blessed with great skills and blistering pace, Real Madrid came calling followed by a stint at Newcastle; he currently co-commentates on Premier League matches for BT Sport (rather dully). Another rising England star who opened his Premier League account when he was just aged 16 was Leeds midfielder James Milner. 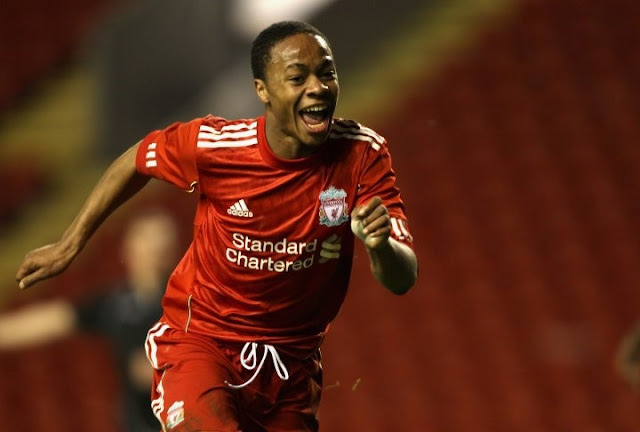 His first strike against Sunderland back in 2002 made him the youngest ever player to score in the league at that time and in June Milner joined Liverpool on a free transfer from Manchester City following stints at Newcastle and Aston Villa.